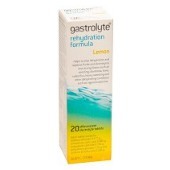 An oral rehydration solution, Gastrolyte Rehydration Formula in Lemon flavour is the first aid treatment for dehydration due to acute watery diarrhoea, vomiting or vigorous and prolonged exercise. 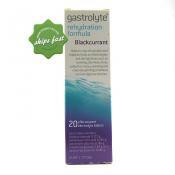 Buy Gastrolyte Blackcurrant Effervescent to rapidly replace the fluids and minerals lost when infants, children and adults suffer from acute, watery diarrhoea or vigorous prolonged exercise. This speeds recovery and helps you feel better sooner. 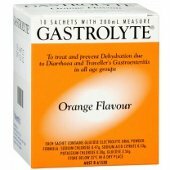 Gastrolyte rapidly replaces the fluids and minerals lost when infants, children and adults suffer from acute, watery diarrhoea or vigorous prolonged exercise. This speeds recovery and helps you feel better sooner. 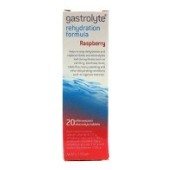 Stop dehydration with the help of Gastrolyte Effervescent Tablet. It is an effervescent glucose tablet that rapidly provides replacement for lost fluids and minerals in infants, children and adults due to diarrhea. It will assist in speedy recovery and will help you feel better sooner. 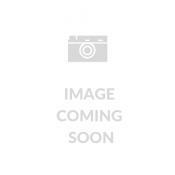 It even comes in various flavors that are made pleasant to the taste so children can easily take it. Carry it along whenever you travel for that quick rehydration routine.